Jeff Trimble started growing orchids in 1972 when his mother gave him two flowering cymbidiums that she did not want. He joined his first orchid club in 1975. By 1978 Jeff was show chairman for the Peninsula Orchid Society, a member of the Santa Clara Valley Orchid society, and president of Malihini orchid society. In 1980 he was asked to be the VP and then President of the San Francisco Orchid Society. 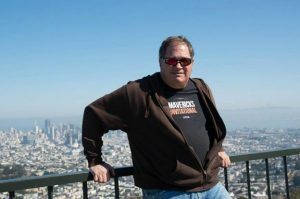 Jeff took on the task of Show Chairman at the Pacific Orchid Exposition one year and later was a co-founder of Orchids in the Park. 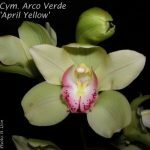 He is currently president of the Peninsula Orchid Society, past president of the Cymbidium Society of America, a past president of the Gold Coast Cymbidium Growers, a CSA judge, and the judging chairman for Northern California for CSA.